We were with 8 more people today on our lazy Sunday picnic trip to The Land. 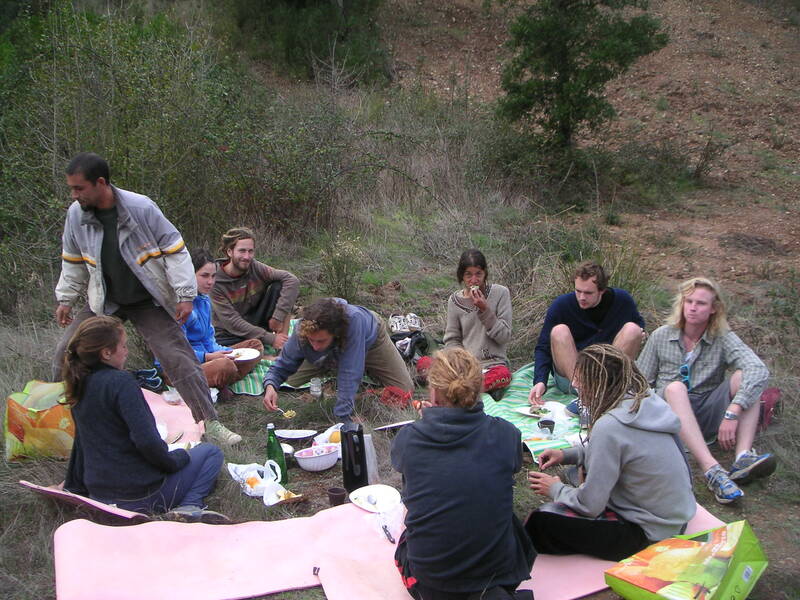 Tonnie from Holland arrived Wednesday, Benji and Michael from New Zealand yesterday and today Hanna (Germany), Enara (Spain), Alex (Italy), Guillaume (France) and Jan (Czech Republic) came down from the Rainbow Gathering in Portugal where they heard about us. The Rainbow family set their outdoor camp up on our roof without roof.